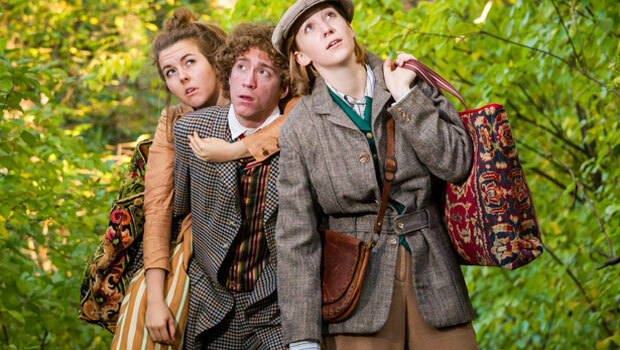 If all the world were a stage, and all men and women were players, then Shakespeare’s “As You Like It” would be easier to understand — at least that’s what Wake Forest theatre professors say. That Shakespeare’s plays are challenging is a sign they are not meant to be quietly read to oneself, at a desk, in a classroom. They are meant to be performed. “As You Like It” performances are Nov. 2-3 and 7-10 at 7:30 p.m. and Nov. 11 at 2 p.m. in the MainStage Theatre of the Scales Fine Arts Center. For tickets or information, call the Theatre Box Office at 336.758.5295 or visit the website. To teach his students how to teach Shakespeare, Brown collaborated with the theatre department. A timely option considering “As You Like It” was in rehearsal. “To hand a student one of Shakespeare’s plays to read without any background understanding would be like asking someone with no musical knowledge to read the score of Beethoven’s 5th Symphony. Music needs to be heard, and Shakespeare’s plays needs to be performed,” says Leah Roy, a senior lecturer in theatre. The lesson for future high school teachers is to “get the play on its feet.” Have students role play parts in the classroom. “The minute you put yourself in someone else’s shoes, you have a vested interest in the material, even if you don’t understand every word,” Roy says.